The husband and I are children of the 70’s and 80’s and remember a time before CGI (Computer Generated Imagery) and digital effects came of age. 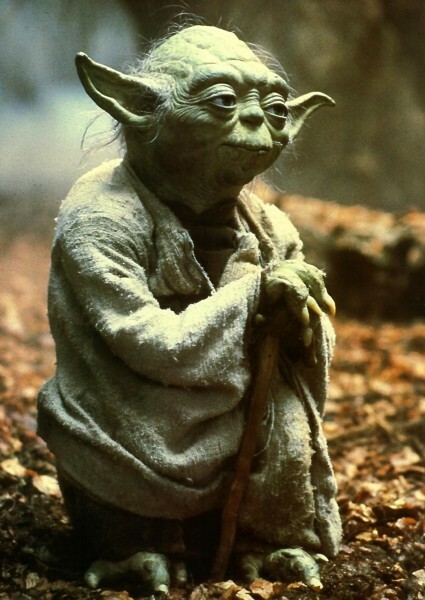 For it’s time the original Star Wars was innovative and visually impressive compared to other science fiction movies. It touched many aspects of pop culture, and was heavily marketed toward children with action figures and tons of merchandise. It is the third most popular movie franchise in history according to The Numbers.com. Is it any wonder that when I came across Star Wars Fabric at Jo-ann Fabric, I couldn’t resist buying it? The fabric was colorful, fun and had a bit of childhood nostalgia thrown in. This fabric inspired such projects as Creative Blast Off: Star Wars Kids Chair, and the Dollar Store Craft, Star Wars Candles. My husband has an beat up laptop that he uses to surf You Tube. It is old and scratched and could use a makeover. 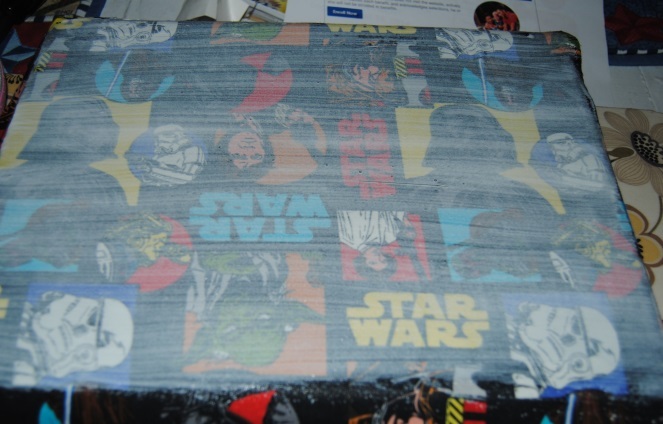 I thought the left over Star Wars fabric would be a perfect decoupage material. I had also wanted to try using decoupage on a laptop for quite sometime as I already decoupaged cell phones, and computer tablets previously. 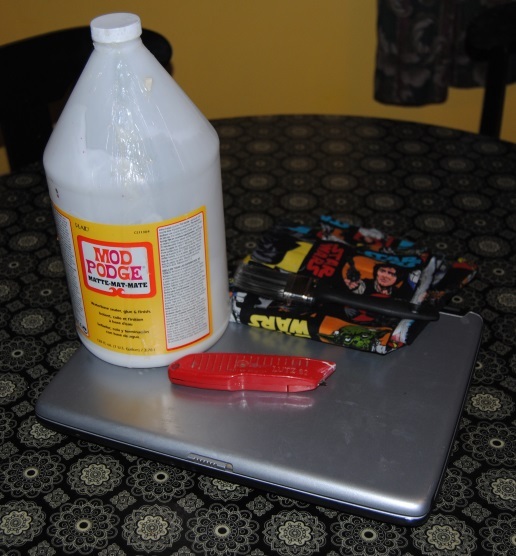 Carefully apply Mod Podge to the top of the computer with a paint brush. Be mindful of the Mod Podge it is important that it not drip into the computer crevices and openings. Apply the fabric, smoothing it out with your hands. Trim away any excess fabric with the scissors. 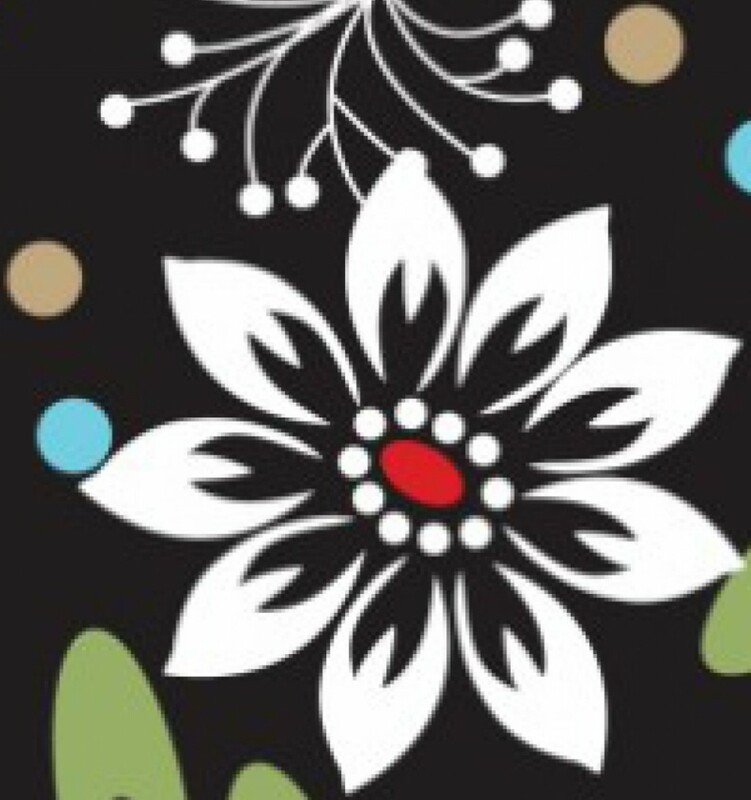 Once it is dry apply more Mod Podge over the fabric to seal it. I applied three coats total, allowing time to dry between each coat. Once dry, I carefully trimmed any excess fabric with the box cutter knife, and then sealed the edges of the fabric with more Mod Podge. 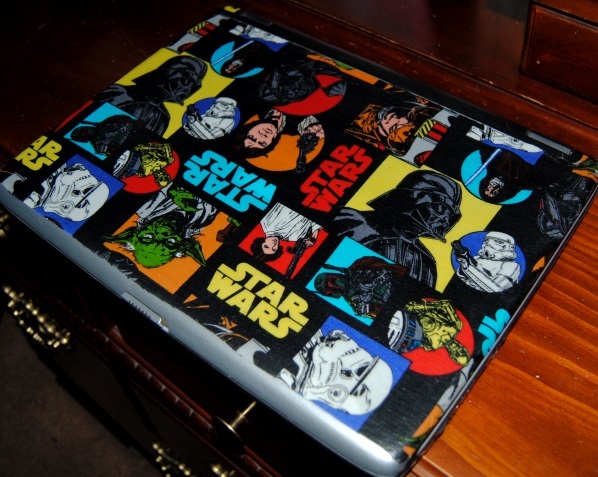 A laptop that a Jedi would approve of and, the hubby seems to like it too. 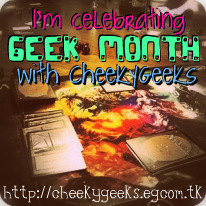 Here’s to the kid in all of us! 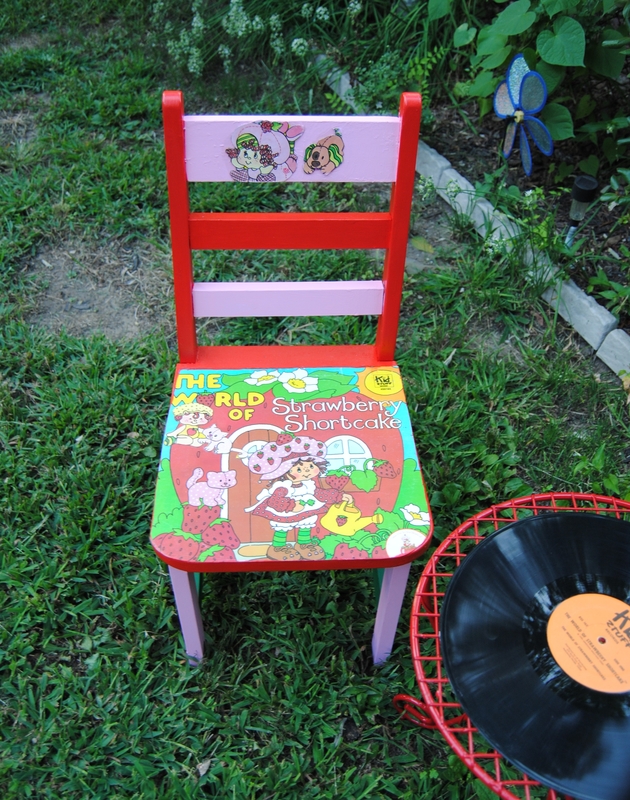 My husband has very few mementos from his childhood, so for this project the pressure was on. 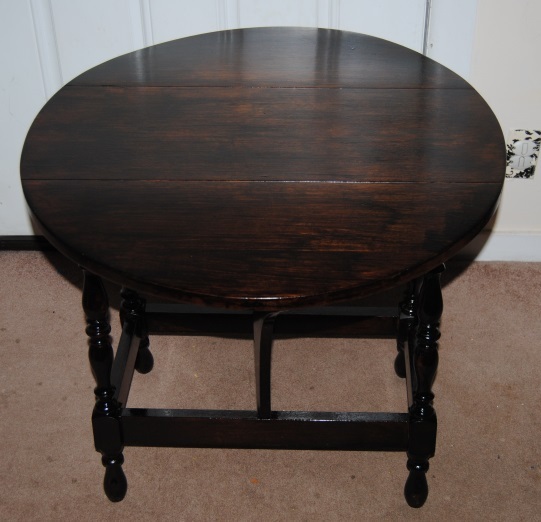 This round, drop leaf table was used for just about every purpose in my husband’s family home. It had seen better days. It survived over 30 years of wear, dirty hands, spilled drinks and more. If only a little table could talk! I could only imagine the stories it would tell! I wanted to restore this table to its original state before all its scratches, and dings, but it would prove to be my most time-consuming project to date, and also the most rewarding. 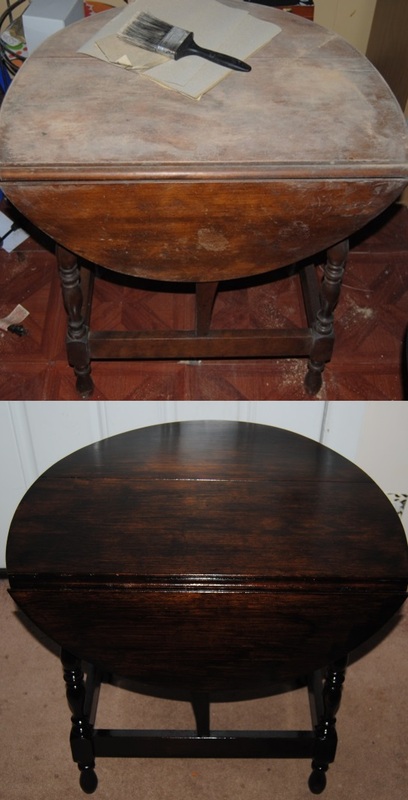 Cleaning over 30 years of dirt and grime is not easy, but a necessary step when preparing a table for restoration. I cleaned it throughly with a damp cloth and used a scrubber sponge for tough to clean areas. 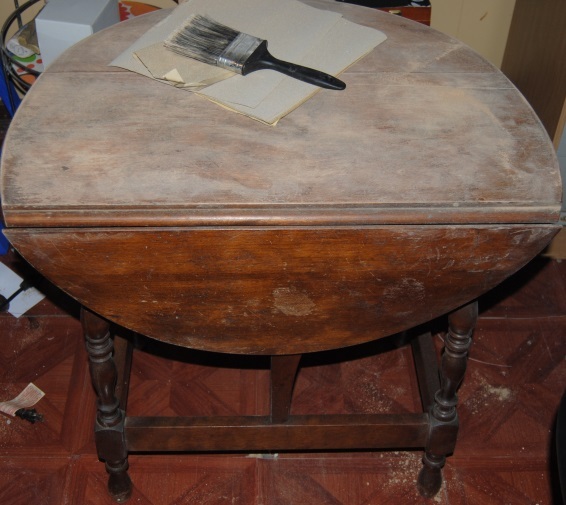 Once clean and dry, it was time to sand it and I did so by hand with sandpaper! This was very messy and time-consuming. I suggest wearing a mask, and doing this in an area you don’t mind getting dirty. Completing this part of the project outside would be preferable. All the more reason to invest in an electric sander having one would have accelerated this process. In between other projects I worked tirelessly to get the table completely sanded and ready for staining. I chose Minwax Jacobean 2750 for the stain. I wanted a dark rich color, which would contrast nicely with the sandstone colored walls. While working with oil based paint be sure to have a proper solvent nearby for clean-up. I use Safer Paint Thinner which is more environmentally friendly than traditional cleaners. I applied the Minwax stain with a brush, following along with the wood grain. Unfortunately, for me, I applied too much stain and due to the humid summer weather, the table took over a week to dry! At this point, I was in no rush, and it rested quietly in the craft room locked away and out of reach from curious toddler hands. Once the table was completely dry, I sealed it with quick drying Minwax Semi-Gloss Polyurethane. I applied two coats, for a smooth finish. Finally! After many weeks and many more pieces of sandpaper, the family table was complete and ready for its permanent place of honor in our family home.